The anti-American anthem protesters successfully hijacked the NFL. Commissioner Roger Goodell sat on his hands as his league’s brand and viewership suffered immensely. But while remaining inactive on the anthem issue, Goodell just handed down one suspension that shows major hypocrisy on his part. Ever since free agent quarterback Colin Kaepernick disrespected the American flag by sitting, then eventually kneeling during the Star-Spangled Banner, the NFL has been in crisis. Millions of fans either stopped showing up to the stadium, or they changed the channel, which led to a big dip in advertising revenue. Meanwhile, Kaepernick and other anthem protesters were regarded as heroes and civil rights champions by the mainstream media and several left-wing activist organizations. Kaepernick has received more awards from leftist groups than he ever did on the football field. After two full seasons of inertia, Commissioner Goodell finally did something that forced players to stand during the anthem, or permitted them to remain in the locker room. Several players and leftist flaks in the media incorrectly claimed Goodell’s new policy was a violation of the First Amendment. Free speech protects people from government compulsion, not corporate policy. However, Goodell issued a ruling that does violate the Constitution, which happens to be leftists’ least favorite amendment: The Second. 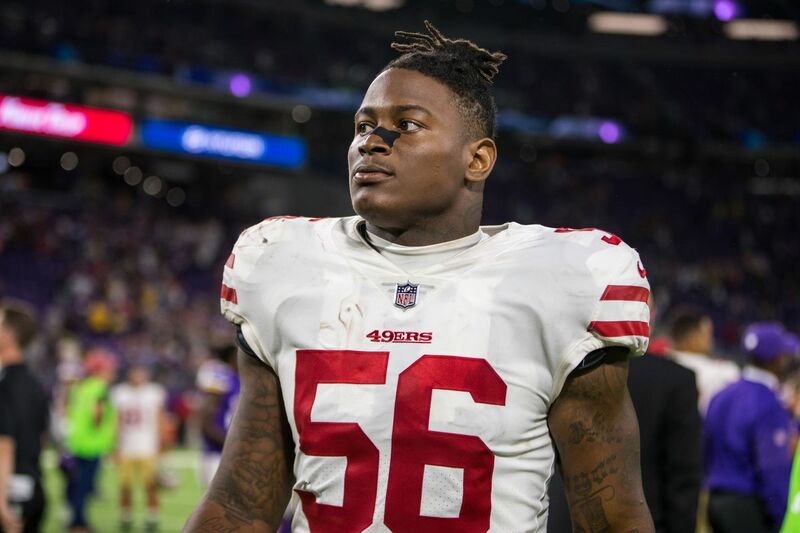 Goodell suspended San Francisco 49ers linebacker Reuben Foster for violating the league’s conduct policy (i.e. gun possession) and the league’s substance abuse policy (i.e. marijuana possession). Foster was charged for marijuana possession in his native Alabama, and gun possession in California. Ironically, if he’d been charged with the crimes in the opposite jurisdictions, no charges would’ve been filed; California has stringent and arcane gun laws. Foster’s gun was completely legal in Alabama, but he was unaware of minor specs that put his firearm under the nebulous “assault weapon” cloud in California. For this minor offense, Goodell felt the need to punish Foster with a two-game suspension. In a league with only 16 games, missing out on one-eighth of your yearly salary is a huge deal. What’s worse, Foster’s gun was only discovered after an arrest was made at his residence under a provenly false allegation against him. The so-called civil libertarians who defended the players’ First Amendment rights—which weren’t under attack—were completely silent on Foster’s Second Amendment rights being infringed upon. Foster didn’t even modify his rifle, a SIG516, and the weapon isn’t even on California’s banned list, which hasn’t been updated in over a decade. A gun legally purchased in Alabama with factory specs is nonsensically outlawed in California. Considering the silly legal technicality and the bogus underlying accusations that led to the police’s discovery of the gun, Foster should’ve escaped the league’s wrath. But Goodell thought it prudent to smack Foster for exercising his Second Amendment rights. Perhaps Goodell needed to score points with leftists by coming down hard on Foster, but his ruling was a sham. The Foster ordeal clearly proves that leftists only care about the constitution when it serves whatever agenda they’re trying to ram down people’s throats.